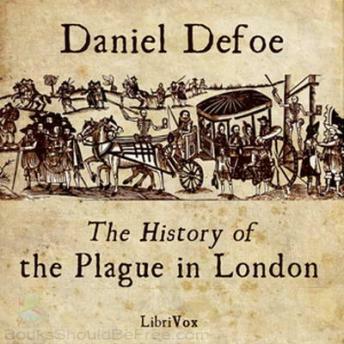 Daniel Defoe’s ‘The History of the Plague in London’ (1722) is a fictionalized account of the bubonic plague epidemic that struck London in 1665 which Defoe witnessed as a five-year old, the year before the Great Fire of London. This work is among the first English novels. Like ‘Robinson Crusoe’, ‘Moll Flanders’ and several other of his novels, Defoe published this work as though it were based on primary sources and was not, so he pretended, a novel at all. This was Defoe’s way of developing an audience among the reading public for fiction writing.